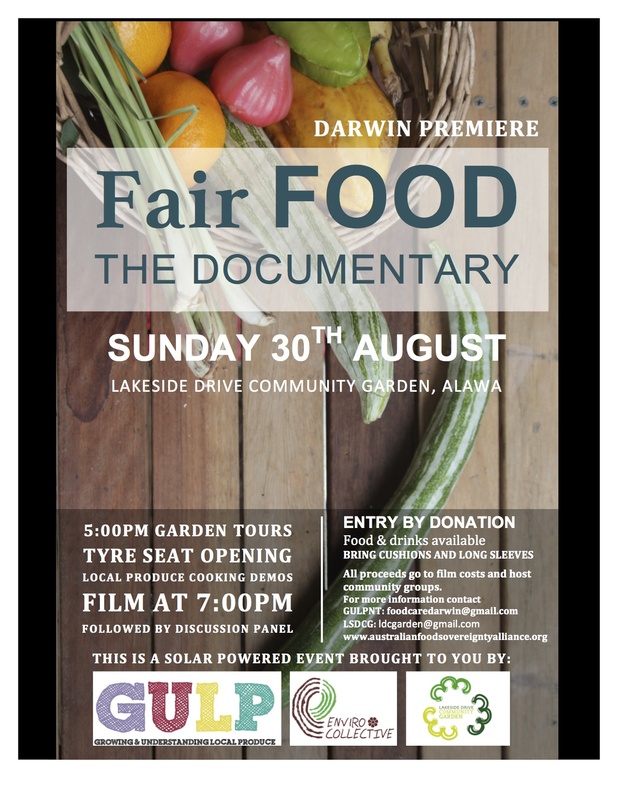 GULP NT have teamed up with the Enviro collective (CDU) and Lakeside Drive Community Garden to Premiere this great doco in the NT. The AUSTRALIAN FOOD SOVEREIGNTY ALLIANCE INC (AFSA) has produced the film which looks at food systems and fair food. The movie will be screened under the stars at Lakeside Drive Community Garden at 7pm, with cooking demos, produce talks and Garden tours from 5pm. There will be time for a short discussion after the movie, local fabulous food served. The movie is by donation and a great way to spend an August Sunday.